Can sacraments work in the virtual world? 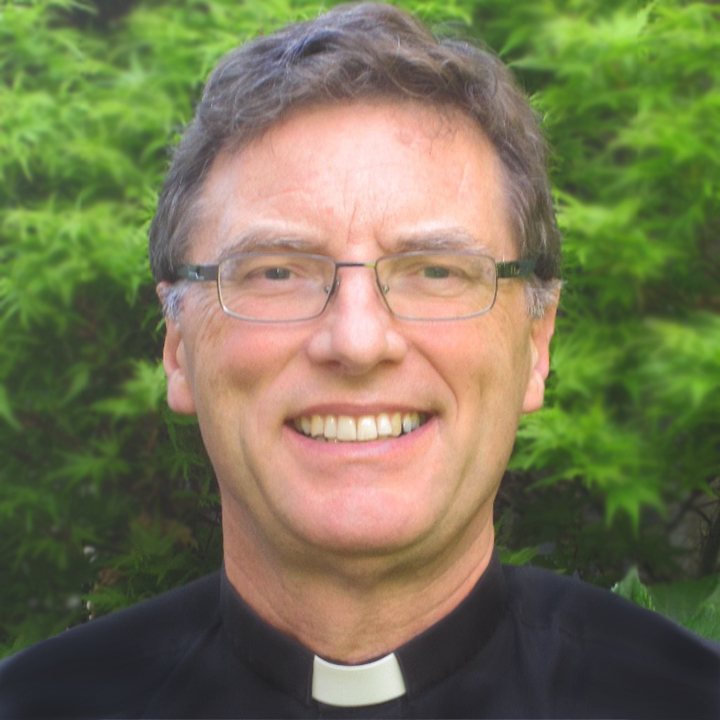 The Revd Professor Paul S. Fiddes, a Baptist minister and Professor of Systematic Theology at the University of Oxford and Director of Research, Regent’s Park College, has just written a short paper arguing in favour of celebrating Eucharist in the virtual world. Can bread and wine be consecrated via the internet? When televised services first became possible, there was discussion whether bread and wine, placed before a television screen, would be consecrated by a priest presiding at a service being televised. Now serious discussions are beginning to take place about sacraments in cyberspace. Professor Fiddes contends “Theologically we should develop a notion of ‘virtual sacraments’ rather than an ‘extension’ of the consecration of elements over a distance, and their direct reception by the person employing the avatar.” He makes this statement, however, without any substantiation why avatars administering and receiving sacraments within a virtual world is OK but extending this into real life via the internet is not. In general, however, this is in the context of a church that is often struggling to catch up with the potential offered by the internet. Baptism, immersion into the Christian community, the body of Christ, and hence into the nature of God the Holy Trinity may have some internet equivalents – for example, being welcomed into a moderated group. But my own current position would be to shy away from, for example, having a virtual baptism of a second life avatar. Nor would I celebrate Eucharist and other sacraments in the virtual world. Sacraments are outward and visible signs – the virtual world is still very much at the inner and invisible level. Similarly, in my opinion, placing unconsecrated bread and wine before a computer or television screen and understanding this to result in consecration tends away from the liturgical understanding of the Eucharist (liturgy = work of the people/ something done by a community) towards a magical understanding of the Eucharist (magic = something done to or for an individual or community). An avatar can receive the bread and wine of the Eucharist within the logic of the virtual world and it will still be a means of grace, since God is present in a virtual world in a way that is suitable for its inhabitants. We may expect that the grace received by the avatar will be shared in some way by the person behind the avatar, because the person in our everyday world has a complex relationship with his or her persona. I strongly disagree with this argument. Professor Fiddes contends that God is present in a virtual world providing grace for its inhabitants. In Fiddes’ theology God gives grace to the avatar. This grace, Fiddes’ expects, will then be “shared in some way by the person behind the avatar.” The concept of an avatar being the receiver of God’s grace is astonishing from an Oxford Professor of Systematic Theology, let alone a Baptist minister, who normally would not allow God’s grace to be present in an inanimate object, not to mention a virtual one. Yet, surprisingly, he presents no justification for his startling assertions. In Fiddes’ perspective does all of the grace received by the avatar automatically get transferred to the person behind the avatar in a sort of ex opere operato mechanism? Or in some (many, most) cases is only some of the grace transferred, with the avatar retaining grace that was originally given by God to the avatar? What in Fiddes’ theology is the use of God’s grace to this avatar? What happens to this grace when the computers fail and the virtual world ceases? Following Fiddes’ approach one would logically hold that God gives grace to a cartoon character like Mickey Mouse with whom an observer (or cartoonist) identifies – and that Mickey Mouse passes this grace on to the observer or cartoonist. Similarly God, according to Fiddes’, would give grace to a character in a computer/video game and that grace is then passed on to the person playing that character. Although Fiddes claims that grace is not some sort of liquid, some sort of “substance”, there is nothing in his thesis that supports this claim. Putting to one side the comment that celebrating Eucharist in Second Life parodies Real Life church (and so would tend towards sacrilege), and the complexities of who might preside at a Second Life Eucharist (only an ordained person behind an avatar? only an avatar ordained within the virtual world? ), I think it is better to examine the sacramental theology underlying Fiddes’ contention. The majority Christian position (Roman Catholic, Orthodox, Anglican/Episcopalian, Lutheran,…- but, it is to be noted for this response, not Baptist) holds that Christ is truly present in a distinctive way in the Eucharistic species of bread and wine. A sacrament requires particular “matter”. Baptism uses water, Eucharist uses bread and wine. We cannot pour a jar of jelly-beans over someone and say they are baptised. We cannot consecrate a bicycle and say this is the Eucharist. Such sacramental theology is also clear on whom we might confer the sacrament. We cannot baptise a pram. We cannot give communion to a letterbox. Hence, we cannot baptise an avatar in the virtual world – as there is no water there, nor is an avatar a person on whom we can confer baptism. There is within Christianity a minority position that regards sacraments as primarily something happening in one’s mind, or metaphorical heart. This position holds that the bread and wine are reminders to the faithful person receiving them. Fiddes, an ordained Baptist minister, is faithful to the Baptist foundations of Regent’s Park College in his sacramental ideas about an individual receiving grace by being mentally involved in a computer simulation. In the Eucharist, bread and wine are the medium by which one makes oneself present to the death of Christ. One wonders why Fiddes would continue this in the virtual world when there one could simulate the death of Christ directly. Communion in his view of the virtual world adds another now-unnecessary layer between Christ’s death and the person on the keyboard. There is no denying Fiddes’ statement “There is a mysterious and complex interaction between the person and the persona projected (avatar).” This relationship is, in my opinion, akin to identifying with a character in a novel, play, or movie, or with a string puppet one is controlling in a puppet theatre. A baptism, marriage, or celebration of communion in such a novel, movie, or puppet show may deeply move the person identifying with the character. Such a person may very well be graced and transformed by God at such a time. But there is no sense in which the person identifying with the character is thereby baptised, married, or receiving the Eucharist. The gothic architecture of the Anglican Cathedral in Second Life may mimic the gothic architecture of many cathedrals in Real Life and encourage a sloppy translation into Second Life of everything from Real Life. But, in fact, any architectural construct can be designed in a virtual world in a way that it cannot in Real Life. What we need is not a parodying in the virtual world of that which is particular to Real Life – we need to discern appropriate ways of mission and ministry in and through the virtual world that may very well be significantly different to what we can do in the Real World. It is that which is its blessing and its challenge. 41 Responses to Virtual Eucharist? This is a tough one, but very thought provoking. I have often said that our current disconnect between the elements of the Eucharist and the earth from which they were worked hinders our capacity to fully appreciate the sacrament in many ways. This approach would further that distance. However, I am also a believer that there must… flexibility in respect to the nature of the sacrament, such as when desert-dwelling peoples would bury in sand as an expression of baptism. At any rate, much to think about. You’re spot on. Thank you for sharing, and for doing it so articulately. I responded briefly on facebook, but this interests me very much. I find myself rather surprised to be taking this side of the debate. I have always had such contempt for television church, and for people who put a bit of bread and grape juice on the television set rather than go to church. But as one who has often advocated and practiced Spiritual Communion, I’m not so sure that virtual communion isn’t the same, with a technological boost. I understand the matter argument and I don’t think anything compares to having a very human priest put the Body of Christ into one’s hand (or in my case, as a priest,putting Body of Christ into the hand of another human) while kneeling, standing, jostling against others. But I’m not so sure we can limit the avenues of God’s grace. I guess I think there needs to be bread and wine consecrated by a human priest somewhere, but I’m not so sure that God ignores the desire of those of us who can’t get to where that’s happening. Sacraments are a sure and certain sign of an inward and spiritual grace, but are they the grace itself? Obviously this comment is not completely serious, but then it’s not a completely frivolous one either: in the worst case scenario of the swine flu (churches closed for the duration etc), Virtual Eucharist might have a justified (if temporary) raison d’etre! My apologies, but I don’t see this one being tough at all..
We live in a fast paced world. Everything is needed RIGHT NOW. God is not under our guidelines and has never worked under our commands…… We must remain under His in order to keep the grace we so desperately search for. Faith in God takes a lifetime to understand and our journey and our end of the search ends with our re birth into eternal life. The faithful and those of us seeking faith need to understand having true faith in God is not like going to McDonald’s and getting it in under 5 minutes or less.. There are 168 hours in a week that God spends with us. If we can not set aside 45 minutes out of that amount of time for God to go see Him, then we truly do have our priorities out of whack. Well, I think about the “Virtual BCP Rite II funeral” I was a part of, and it was “BYOB&W” (Bring your own bread and wine). We all met on Facebook and participated via posts. The priest involved consecrated his own bread and wine live time and it was announced it happened and we were to partake of ours. One can argue “real” or “not real” but it still felt pretty “real” to me. I bring this up as an alternative to the avatar example in the post. At any rate, they were having a special service once (maybe Easter-I forget as it was thirty-odd years ago) with Communion and they sent me this little wooden cup and I arranged to have bread and grape juice using this same cup that all the other viewers were going to use–and I felt a tremendous sense of lightening of this pervasive almost existential guilt I had been feeling. As a child, I had no clue as to Christ’s presence or not, or even what a sacrament was. But GRACE was present, and I felt it. I spent a rather long time away from the church starting in my teens because the negative ideas of Christianity without any of the positive uplifting aspects of faith and believing in redemption were depressing, and I took a long time to find a theology as an adult that I could accept. So I have mixed feelings about this “virtual” Eucharist. As someone who has embraced the Episcopalian church as the version of Christianity that I most resonate with now, I agree with Christ’s presence in the Eucharist, and in the importance of consecration. On the other hand, having experienced God’s grace many years ago in the form of some grape juice and bread in front of a television screen as a child, I also know that a limitless God will find ways to make technology serve Him. I find value in having a virtual support group of fellow believers in Christ, found on the internet through things like Yahoo groups and Twitter. It’s wonderful to be able to find the Daily Office or lectionaries online, to download sermons, to find so many things that enrich my faith online. On the other hand, I go to a physical church where I have personal interaction with people and wish them the Peace of the Lord. I shake hands. I make eye contact. I have physical pews and I stand and sit and kneel with others. And a physical priest consecrates the Eucharist, and I receive physical bread and physical wine that is spiritual food, and this is important to me. And I don’t think that virtual church substitutes adequately for that physical presence. On the other hand, there are many people who are just becoming interested in church who are very “virtual”–those youngsters I see texting with flying thumbs…. as well as those who are infirm who can’t make it to church. I’m not sure that virtual consumption of a virtual Eucharist by their avatars is the equivalent of the sacrament, but I believe that since a church is a group of believers and not a building, that the electronic age could somehow birth a way of interaction and faith building online. I would hope that it wouldn’t substitute for the physical church longterm for those able to attend one–but I would hope that a real priest’s intention to consecrate physical bread and wine in front of physically distant communicants might partake in Christ’s presence in the way that they do in a regular Sunday service. But it seems not only theologically odd to have an avatar accepting a virtual sacrament–but somehow unsatisfying when we are spiritual beings who are physically incarnated. There is a reason that baptism uses water and the Eucharist uses physical bread and wine. The physical sacrament brings something tangible to the sacraments which a mental sacrament would not. Thank you for your thoughts on this–and for your site, from which I have learned much. Traditional churches are not accessible to me. (I’m deaf, forget loop etc). Thus I access NO form of spirituality nor community, and pretty much on my own. The internet might be some second best crazed place, but the alternate is nothing at all. Sometimes by arguing for the perfect, you can be exclude people. Someday the church might like to give this some thought. While I find this interesting, some of the discussions of this article outside the blog have amounted to discussing the mechanics, as if a virtual theory of transubstantiation is needed. I go a different direction. Relationships are what mmatter and sacramental relationships are consumated relationships, to know and be fully known and that cannot be done virtually. If the Incarnation is more than God as avatar in our “second life” but a real “first life” experience, then the sacraments must also be a “first life” experience of a consumated relationship with the Body of Christ, God and people together in community. I occasionally attend services at Epiphany, the Anglican cathedral in Second Life. I also attend an Episcopal church weekly. I’m of two minds about the idea of virtual communion; frankly, even if theological considerations could be resolved (doubtful), the implementation would be tricky. SL has a habit of fouling up the best-laid plans of designers and scripters, people lose their connection at the wrong time, and occasionally pranksters might try to disrupt things. The main thing is online worship provides community; we would never be able to gather in on place in real life. It also brings people together who might disagree strongly on some matters – I know that one of my fellow worshippers would object to the way my liberal, welcoming parish does things of a Sunday. My friend is from a much more conservative place, but SL allows us to remain in communion with each other. We may not be able to achieve more than an awkward approximation of Morning/Evening Prayer at Epiphany (with comic relief when the leader falls out of the pulpit) but we have something together that transcends mere geography. MY thoughts on this interesting topic: “Unless you eat of the Flesh of MAN, you will not have LIFE within you” — and Many Walked AWAY. Please, this idea is idiotic. In physics there are virtual images and virtual particles. The Holy Eucharist is Real in fact, the Real Presence of Jesus Christ in The Blessed Sacrament. THIS IS CRAZY. BREAD AND WINE CONSECRATED IS JESUS’BODY AND BLOOD. YOU CANT RECEIVE IT ON A COMPUTER SCREEN. YOU MUST BE WITH THE PRIEST TO RECEIVE IT. Thanks to those so far who have contributed so thoughtfully to this post. It is clearly a significant issue – over three thousand have visited this post in the day since putting it up – with about 200 reading it an hour currently! There is a parallel discussion happening about this post on the Facebook Liturgy Page. Some trends: I think everyone agrees that the internet is/can be a place of community and a place through which God can act and grace us. The model of “spiritual communion” has been a helpful addition. For those readers unfamiliar with this, a search for this will bring up lots of information. Here is a Roman Catholic example, and here is an Anglican example. Thank you to people who have given examples of real (I mean virtual) experiences. I am a little surprised at suggestions of all or nothing – of people regularly unable to attend the worshipping community therefore having no access whatsoever to ministry – are clergy and ministers with the Reserved Sacrament not visiting the sick and housebound? Am I misreading the consensus here if I suggest that the real and virtual worlds are/can be complementary – each with its own particular blessings and challenges? Please keep adding your thoughts. I can’t even believe this is worth a DISCUSSION. A virtual world is NOT REAL. Period. An avatar is a computer image, a made-up character. It’s fiction. To have “sacraments” in a virtual world is the equivalent of Flannery O’Connor writing about the consecration in one of her fictional stories. There is no actual grace in a fictional environment, which, by its very definition, doesn’t exist. Anyone who thinks this should be seriously discussed has lost contact with reality and needs to step away from the virtual world and maybe actually go to Mass. Jesus was REAL, He died, He rose, and He is present, Body, Blood, Soul, and Divinity in the Eucharist in the Catholic Church. Period. Thanks for pointing this article out. It really reveals the insanity that’s out there! Talking of virtual Eucharist, it would be better to have a Spiritual Communion. Transubstantiation occurs only within the Orthodox church (valid, but illicit) and His (Christ) one, holy, catholic, apostolic Church ,guided and protected by the Holy Spirit (infallible regarding faith and morals), and which holds the keys (see of Peter). The Body and Blood of Christ is not and will not be found elsewhere. No other church would need to worry about this question, as they no longer have Apostolic Succession (invalid orders). Yes this includes the Anglican/Episcopalian church and their split offs. And as far as His Church, and the orthodox church, I’m pretty sure both would say no. Christ did not redeem humanity by email, nor spoke from the sky and said “you are redeemed”. He came done to Earth physically as a human being. God bless us all! I think one of the problems is there is not a real consensus on the word “virtual”. Well, and just take Bosco, here. I have never met Bosco. I have never been to NZ. Yet I consider Bosco a friend. Yet my interactions with Bosco are in the virtual world, and hardly ever at the same temporal moment. When he suffered a family tragedy, I cried real tears. I expressed my sorrow and offered my prayers. Yet the presence that he and I share is linked by a computer screen. I find myself amazed at how the virtual world in this sense expands my spirituality. I am amazed at how the virtual communities of blogging and Facebook teach me how to live in my “live time” community. I find the non-temporal nature of the virtual world helpful in understanding God’s realm, where “temporal” is probably a figure of speech. It’s all quite fascinating really, how our virtual existence creates real bonds between people. So I think it’s important to see our “virtual” world to be filled with a non-temporal (eternal?) reality. What about a Spiritual Communion in front of a virtual monstrance at a 24 hour Adoration Chapel as seen in some Catholic sites? Cannot Jesus transcend time and space?? However, to partake in the Eucharist/Holy Communion–there is nothing this side of heaven that can take His place…to eat of His Body and drink of His Blood is following Jesus’ command in the Scriptures. There is no equal substitute. Peace to all my Christian sisters and brothers!! Wow, this is fascinating. I would like to clarify–I know that my own parish, which is small, does have a way to visit some of the ill/elderly. These are longterm parishioners though. A lot of elderly people move geographically to be with children/family and lose their primary physical church connection when they become invalids, so my ideas about shut ins still stand. I do like the idea of spiritual communion (and thanks for the link to the Anglican version–I’m printing that out to take on vacation with me in a few weeks.) I felt really good going to church this morning and partaking of the Eucharist, and felt bad last week when I missed church after not feeling that well so I do know that taking Communion is an important part of Christian life. And while I too have never met him and don’t know enough about Bosco personally to consider him a friend, I do like him, and I consider him someone who is a spiritual teacher and someone who is deepening my knowledge of Christianity and Anglicanism. So although I do disagree with the idea as originally posited by Professor Fiddes of a completely nonphysical sacrament partaken by a nonphysical representative avatar, I do feel that it’s important to explore how a real priest might be able to consecrate at a distance, but have physical people ingest physical sacraments…. Thanks for such an interesting topic! This IS a tough one really. I am a shut in. I live in a rural area. I used to be very active in the Church before I became disabled. A friend and fellow Extraordinary Minister generally brings me Communion on a weekly basis. However … I can only go to Confession a few times a year which distresses me greatly. I agree that Transubstantiation is a physical event that one must be present to receive. I have had, in the past, trouble ‘getting into’ Mass on TV, but have made many spiritual Communions in that manner along with Eucharistic Adoration online. But I think CONFESSION should be considered as it imparts grace which transcends time and space. In fact … I’m thinking here that it may even bring many more back to the Church as it will take the ‘sting’ out of that actual humiliation of a long time absence. (Don’t get me wrong here, I know that Jesus was humiliated and who are we to demand less.) But where Confession is actually verbal and grace can be administered by Jesus anywhere … would it really be out of the question for Confession to be virtual? Naturally, the other 6 Sacraments require your presence to receive the matter etc … but Confession, I think is the exception. 🙂 … thoughts??? Where I see the importance of this discussion going is that is a grace in meditation – for all of us! There is Sanctifying GRACE, and their is ACTUAL GRACE. The SACRAMENTS supply Sanctifying GRACE – and our GOD(the HOUND of HEAVEN – ALL LOVING) uses every MEANS to draw us to HIS KINGDOM. All the CONVERSIONS happening in today world – due to ACTUAL GRACE. MAY WE ALL BE ONE. For a Catholic, we do acknowledge and believe the actual presence of Christ in the Holy Echarist. Therefore, it is Christ and in order to recieve him we must physically be present at church to do so. This virtual stuff is garbage and decieving. We must recieve Christ physically to say that we have. We try to be more “emergent” in the second sense, and not the first sense – I think the first sense of “emergent” has been so prominent at the Cathedral that it will be very, very difficult to pull back from this general ethos. The Incarnation is about God Who is always and everywhere Present making Himself Present to us: God is present in word (Bible), Icon (“writings of the WORD in picture form”), Sacraments, and especially in Eucharistic Presence — but this discussion goes beyond reality, attempting to equate virtual with existential reality. You cannot consecrate bread and wine over the internet — you can, however, make a spiritual Holy Communion. WHY would anyone want to or need to? People confined at home, in hospitals, in out Outback, in the military need a real chaplain there; virtual is always 2nd best. The Presence of Jesus in the Word is communicated, the longing for Holy Communion partly satisfied by a Spiritual Holy Communion. The Sacraments are always on a one-to-one basis. God has taken the trouble to come to us, now we must go to each other. No, virtual consecration is not possible, or desireable. Virtual reality is not existential reality. What concerns me is the practicalities of keeping a virtual Sacramnet in a holy or at least dignified place in hyperspace. For example, I read in New Scientist of an interview conducted with a woman in second life – as one would watch an interview on TV – that was suddenly disrupted by hackers who sent pictures of male body parts shooting through the proceedings. Several in this discussion have pointed out that virtual reality is not existential reality. There certainly was a time, not long ago, when the idea of communicating with someone across the globe within a matter of seconds would have seemed impossible to me. Or that I could have an exchange of ideas with persons I do not know, or even know where they are. I am not hearing your voices, or reading words written by your hands, or seeing anything that has come remotely close to any of you. Yet somehow you have communicated your ideas to me in a way that has engaged and interested me. Are you real? I still do not understand how this kind of communication happens – although I have come to trust that there are people who do. Virtual reality is dependent on some sort of physical reality, persons at computers, telephone lines, micro chips, etc. Grace is a different kind of reality, a gift of God. It is spiritual, although it is experienced through physical reality – we physical beings after all, not disembodied spirits, it is not limited to our mechanical manipulation, or our understanding. I believe God can use all sorts of means to communicate grace. Two years ago I had serious surgery, one Sunday a priest brought me a host and gave it to me as I lay in bed. The next Sunday recovering at home, I was able to watch a live stream of the Eucharist from Trinity Church Wall Street in New York. Although, legally I didn’t receive Holy Communion that second week, I did feel much more a part of the church and I felt much more that I had participated in the Eucharist. I have no doubt that on both occasions God’s grace nourished and sustained me. My golly! Do you guys know what “Avarta” mean? It literally means Hindu god incarnate and became man. There is only one God who was incarnated becoming man, that is Jesus, the second person of the Holy Trinity. Who is this Avarta trying to imitate God? Those of you smart enough like Mark Brown, and Fidde, who create such fantasy world should know well. To deceive people with fantasy, not very smart. The church needs to be in the vanguard of advocating real and physical community, and not allowing all our relationships to degeneate to having only a virtual dimension. Fascinating discussion here. Boy, I want to answer this in a lot of ways. From my perspective as a Catholic. As a psychologist. (As someone with a hearing disability.) And as a volunteer communion minister at a local medical center. “read” each other’s body language and emotional expression. For some of my patients it is vital to “see” me. The “seeing” becomes a kind of concrete “ground” for their healing. I simply cannot endorse any idea that “avatars” substituting for me and the patient would facilitate growth and healing. Mind you, I do think that relationships over the net are “real” – but the reality comes from interacting over time. Not from an avatar or picture – though people may come to be attached to one’s photo or symbol (mine is a special kind of “grace note”). And I have had the experience of someone feeling that interacting with me or reading me had strengthened their faith (this was on a political blog, mind you). Nevertheless, the interactions – over time – on a website are not the same as cartoons of worshipers in a cartoon chapel. Communion, you could say, is Divine Therapy. In the hospital, where I volunteer about once a week, I am acute aware of the importance and value of my role as a communion minister. I am a stranger to a patient. Yet, countless times, when saying the Our Father with a stranger in a hospital room, the patient has become tearful. I am so often struck by their reverence and appreciation when receiving communion. And afterward, though I am not ordained in any way, I put my hand on their forehead and convey a blessing. I have found this to be deeply meaningful for people – and more often than not, if a friend or relative is present, it is evident that the onlooker has been deeply moved by a stranger’s prayerful blessing of their loved one. It is hard to tell who benefits more – me or the patient. As someone with hearing disability I am fine one on one, but have difficulty in crowds, including most churches, so hearing priest or the readers is quite a “trial”. But God speaks to my heart – even in silence and in solitary moments. And I doubt I would find comfort or depth in a cartoon chapel with cartoon characters. Sorry… but reverent reading of the word of God or praying of psalms would be greater “communion” than a cartoon rendition of Sleeping Beauty (so to speak). Mysticism could never thrive via cartoons. Though it can thrive in silence and solitude. I’m all for the mystical. I simply can’t see a mystical role for cartoons. Currently, in the hospital, we have a new problem – the swine flu. This is in North America – in summer. Lots and lots of rooms have “isolation” signs – and those rooms we can no longer enter. That is sad. And I wonder how it will go this winter. Nevertheless, I too would advocate “spiritual communion” – and televised Masses from the hospital chapel (if necessary). We are working to figure out a way to provide communion to those in isolation. We used to “suit up” but that is not permitted during this flu pandemic. Especially in a hospital environment. I think it is possible to tell patients – somehow – that God feels their yearning. And to encourage them – again, somehow – to recognize the yearning for God as another way that God is actually with them. I can’t really speak to the theology of this. But I hope the above thoughts may be helpful in this conversation. We are living in a world which has grown smaller due to the web. We rejoice and grieve for those we will never know. Through that rejoicing and grieving, we are already communing with our brothers and sisters around the world – regardless of their faith traditions. At the same time – what can substitute for a stranger taking time to visit you in the hospital? Praying with you. Giving you the Bread of Eternal Life. Blessing you. Looking you in the eye – no matter what condition you happen to be in. Sorry for the extensive comment. Addressing the question of spiritual opportunities in SL by addressing the validity of sacraments in virtual space is jumping right to the hard technical cases without first picking the low-hanging fruit. There are some unique social and technological characteristics of SL that make it a good environment as a mission field. In addition, it holds promise for serving those who have little access to spiritual encouragement in normal circumstances; these might include the disabled and ill (as has been discussed in previous comments) but also the shy, the lazy, the browbeaten, the young, the rural or those with powerful negative assumptions about the Church and Christians who find themselves freer to consider new possibilities in this more risk-free environment. I’d also suggest that the (perhaps surprising) sense of mutual participation by SL users can make God’s love and truth more contagious in SL than even face-to-face encounters that aren’t likewise characterized by mutual engagement. In that way, it might be stronger than television, street-corner evangelism, or even (dare I say it) some in-person sermons. Being in SL space is always completely optional – anyone who doesn’t choose to be among their companions at that moment can log off or teleport elsewhere in a flash. So it will be crucial to take into account what we know and can learn about relationships, motivation and intentional community. There is no such thing as a captive audience in SL. “Marketing” doesn’t work – again, see the “no captive audience” axiom. That doesn’t mean, however, that a Christian presence will consist solely of “preaching to the choir”. It means that developing one-to-one relationships-with-substance will be even more important. This is a far cry from “cartoon characters interacting on the screen,” as SL might appear to those without personal experience. It seems to me that effective ministry in SL would take a team with commitment, maturity and steadiness. It will take learning to have one mind and a heart for service across time zones, circumstances of acquaintance and in spite of the difficulty of explaining this to our friends. But, as Jesus said, the fields do appear ripe. My difficulty with this is that in the real church, we’re having to rub along with those we don’t particularly like. Getting on with our neighbour is one of the main Christian challenges, and the thought that we are all united in Christ in the Eucharist is sometimes sobering. In the virtual world, however, we gather with those we agree with only. It’s nice, friendly, affirming, but it’s only a fraction of what the body of Christ is about. So if virtual communities are only a fraction of what the body of Christ is about, can the virtual Eucharist be as deep and meaningful as the one we partake in in our real life churches? I clicked “submit” too soon, sorry. And that leaves out the questions of how meaningful a Body of Christ Eucharist is when it consists basically of me at my computer. The Body is there but not real, I don’t have to engage with any of it, share the Peace with it, be real for it. I’d love to hear the thoughts of people who might have good answers to those questions! we discussed this in one of our small groups at Clergy conference at Akaroa about 4 years ago.It was mooted for areas like the west coast with many small scattered congregations and few Priests. Most in our discussion group were horrified at the idea. I am glad to see the wide ranging discussion. Just a thought Jesus said “do this in remembrance of me” Nothing about having a priest present when we do it. If listening to praise be or a televised service makes us feel closer to God then it helps us, and when the opportunity to fellowship in a real time service occurs we wont be strangers. I’m over a year late to this discussion. I can see how I could enjoy a virtual Eucharistic service, but I would not have my bread and wine ready to hear the words of consecration and believe that I had partaken of the Eucharist. It seems to me that incarnational presence is necessary for the Eucharist. Virtual presence is not sufficient. The analogy with Baptism seems valid to me. That is not to say that Jesus would not be present, because where two or three are gathered…, but it would not be Eucharist. That is not to say, either, that blessings would not flow from the service. I see that others have already said pretty much what I’ve said, but I wanted to add my 2 cents. Your post and the discussion following are excellent. The discussion is still as relevant as it was – so it’s great that it be picked up. Wouldn’t a virtual baptism give virtual grace? What about Emmanuel, God with us? In real life?